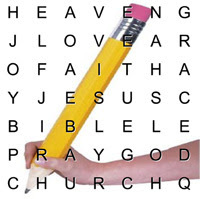 If you are looking for: Bible word search, word search Bible, Bible word searches, word search in the Bible, or search the bible, then please allow me to introduce a poem called the Word Search! I know You have something inspiring you can say. I need to hear something to make me feel safe. especially the ones who are suffering and need an encouraging word. I shall surely feed My hungry sheep who are feeling all alone. they have more nutrients than vegetables, fruits, and meat.